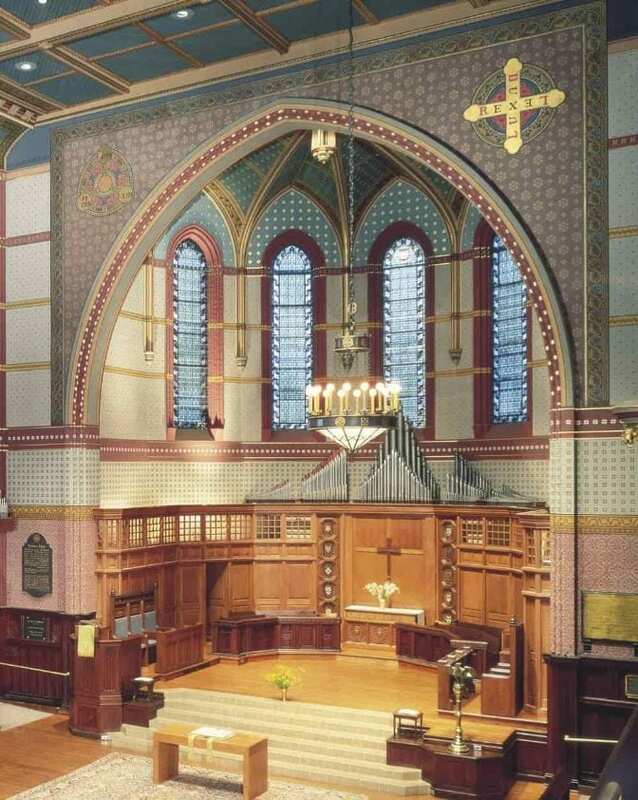 Battell Chapel Restoration | Yale University | John Canning & Co. The Battell Chapel restoration was one of the earliest historic preservation projects in Connecticut and the Canning Co.’s first comprehensive church restoration in the US. 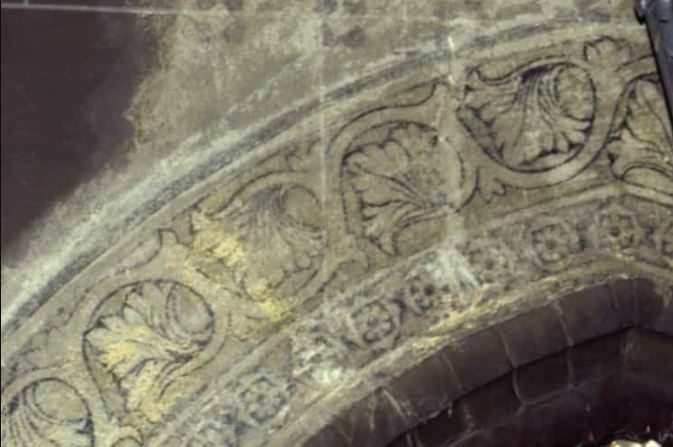 Exuberant original Victorian-era decoration was painted over for years. Scientific analysis confirmed color palettes, and the decoration successfully replicated. Original Architect: Russell Sturgis, Jr.